Damp Proofing treatment just completed to a tenanted home in St Albans. Rising damp was found to be affecting walls within the living room due to a defect with the original damp proof course. 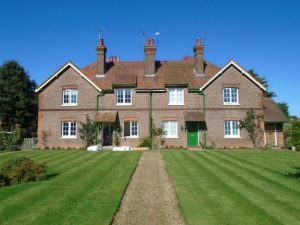 The property was built in the 1900’s and many homes of the era where built with slate damp proof courses. While slate if impervious to water, over time the slate can crack allowing moisture to rise up the wall. Treatment for this defect requires the injection of a chemical damp proof course. 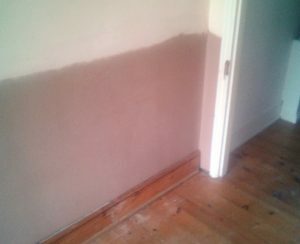 Following the injection the walls are replastered and skimmed for a smooth finish. Now the tenants can continue to enjoy their family home.